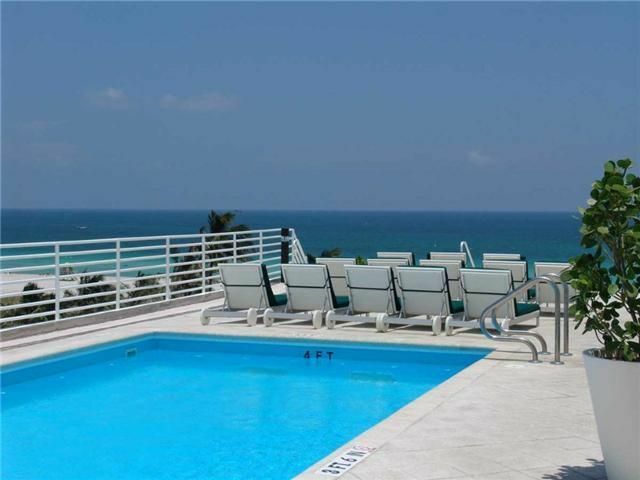 Spacious, comfortable oceanfront condo centrally located on Ocean Drive right next to the former Versace Mansion. In the heart of South Beach, walking distance to all the attractions. Amazing location across from Lumnus Park and the beach. Rooftop pool and bar with incredible 360 degree views overlooking the entire Ocean Drive and Atlantic ocean. Smart TV. Separate Bedroom Area in Alcove with King Size Bed - Balcony. Incredible Ocean Views from rooftop pool! Charming place ......cute for a couple. Close everything. A spacious studio with lovely accommodations. Val and Rob were fantastic in assisting us with any concerns/issues we had. Being on Ocean Drive, I expected the noise level to be extremely high but surprisingly, it was not. The room reminded me of a doll house, really cute, clean and well maintained. If you are looking for a view, you won't get it, but the room, access to Ocean Drive, the great hospitality from Rob and Val, and cute balcony certainly made up for the view. Kudos to the cleaning staff, especially Kim. Great Accommodations at Perfect Location! I did the Miami Man triathlon for the second year and extended my stay into a vacation. I found this property to be exactly as described and reflected in the photos. The location is perfect - just across the street from the boardwalk and beach, and a short walk or Uber ride from almost anything you want or need. The bed was very comfortable, and there was plenty of pots, pans, dishes, and kitchen utensils. The boardwalk at Lummus Park is the perfect place to get a run in, or rent one of the bikes from the various bike stations along the way. The rooftop pool was peaceful and provided a beautiful view of the entire area. I also found a great little Italian Coffee shop just a couple of blocks away, and really good beer at the Yard House, Kush, Boxelder, and J. Wakefield Brewery. I also recommend Abbey Brewing, which is also a very short Uber ride (a mile or so) from the property. The owners were very easy to work with, and allowed me a late checkout since I had a later flight. I highly recommend this property, and will be back!